Gardiner Greene (1753–1832) was a merchant from Boston, Massachusetts who conducted business in Demerara in the late eighteenth and early nineteenth centuries. Greene was born in Boston, September 23, 1753, to Benjamin Greene and Mary Chandler. He first travelled to Demerara in 1774 and laid the foundation of a large fortune shipping cotton, coffee and rum. His associates there included William Parkinson, a plantation owner in Mahaica. In 1798 he owned plantation Greenfield, a 500-acre cotton estate, on the east sea coast of Demerara. Greene served as an official of the United States Bank and the Provident Institution for Savings. 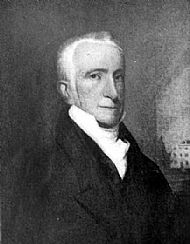 He was a proprietor of the Boston Athenaeum, a member of the Boston Episcopal Charitable Society, and a supporter of the Boston Asylum for Indigent Boys.